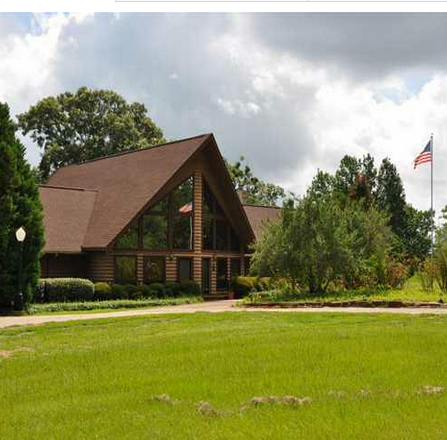 This 64.83 acre one-story gorgeous single family home located within a park-like setting creates a unique and beautiful sanctuary to bring up a family. The house which was built in 1995 is characterized by the beaming high ceilings and windows that will ultimately take your breath away. It is further made to cater for the needs of the family all year around and all through the seasons. Some of the unique features in the house include a limestone fireplace that can take in the entire family especially during the cold evenings as well as another fireplace in the master bedroom. Other rooms included in this house include a kitchen, an office, hobby rooms, library, workshop, a parking and laundry room. Most of the house’s floors are made out of limestone, vinyl and stone and are all carpeted. The house further has a very beautiful and adorable garden and a year’s supply of fruits that comes from the orchard. Moreover, at the entrance of the house is a spectacular fountain and pond. Some of the extraordinary external features captured in this house include a porch, sprinkler system to keep the garden watered all through, gutters to collect rain water, a patio as well as security lighting. The house’s fence is made of both metal and wood and has an automatic gate. The garage is made to take in a total of three vehicles and is detached from the house. Also included is a workshop. What’s is most captivating is the rectangular private lake that provides a spectacular water front and brings in fresh and cool breeze all year round. The house features a cooling system that is individual controlled and a heating system that uses electricity, gas and heat pumps. 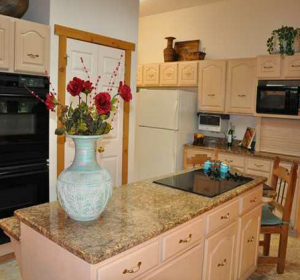 The kitchen area is highly spacious with double electric ovens and granite counters. The space also includes a separate dining area and a breakfast bar. There is also a disposal system for all kitchen waste, a pantry, microwave, dishwasher and an ice machine. There are a total of two fireplaces one in the master bedroom and another in the living room that uses both wood burning and gas logs. Inside the house are extra ordinary features as well such as a wet bar, central vacuum, an intercom, attic stairs, a smoke alarm, a ceiling fan as well as a satellite dish, security system and blinds. There are a total of 4 bedrooms, 3 bathrooms, 2 offices, 2 living rooms, 1 library, a family room, utility room, laundry room and a den. The street outside the house is paved; there is abundant clean and safe water all year round and the use an aerobic septic system. The house is located within the M. Henriquez neighborhood which is within the Smith County. Some of the schools that are located within this neighborhood include the Troup Elementary, Middle and High School. For more information or to schedule a showing, visit our Contact Us page or call our offices directly at (903) 561-2600.